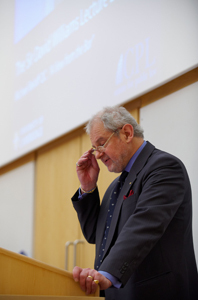 On Friday 21st May 2010 the Centre for Public Law held the tenth in the series of lectures in honour of Sir David Williams. The lecture, entitled "A View from the Bar" was given by The Honourable Michael Beloff QC. Professor Alan Brudner, University of Toronto; Herbert Smith Visiting Scolar) gave a talk entitled "The Wrong, the Bad and the Wayward: Liberalism's mala in se". The talk took place on Monday 8th November at 6pm in the Faculty of Law. Professor Peter Gerangelos (University of Sydney) gave a talk entitled "Executive Power, the Prerogative and Reform in the context of the Australian Constitution". The talk took place on Tuesday 23rd November at 6pm in the Faculty of Law. Evening Lecture: "Making Parliament Work". The Centre for Public Law (Faculty of Law) and the New Zealand Link Foundation co-hosted a public lecture entitled "Making Parliament Work". The lecture took place on Thursday 25th November at 6pm in the Faculty of Law. The speakers were the Honourable Margaret Wilson (former Speaker, New Zealand Parliament) and David Howarth (MP for Cambridge, 2005-2010).